A silica thickened syntetic hydrocarbon grease for lubrication and protection of electrical contacts and connections. Good water resistance. 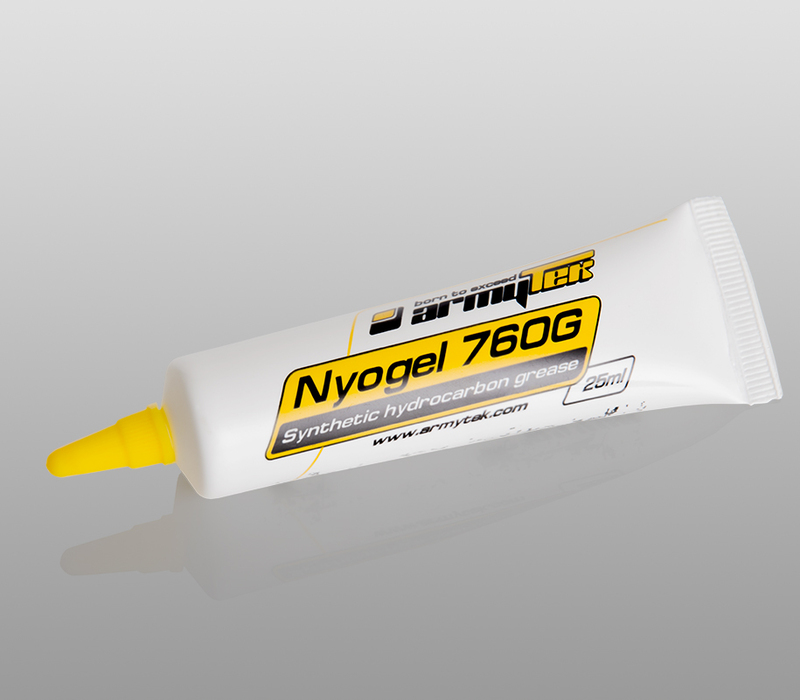 NyoGel 760G is suitable to use with flashlight threads, diving equipment, car locks etc. Note: this product can be shipped to USA/Canada from China by FedEx/DHL only. I am very pleased with this product. It has excellent adhesion and is long-lasting. Although very little of this product is required to keep your O-rings well-lubed, I recommend purchasing the larger 10 or 25 ml sizes to avoid re-orders. The ultimate item to help maintain your Armytek flashlight!!! Armytek Barracuda Pro v2 XHP35 High Intensity (White). Silver.